This is a photograph of the Forbes ranch in Seward County, Kansas. 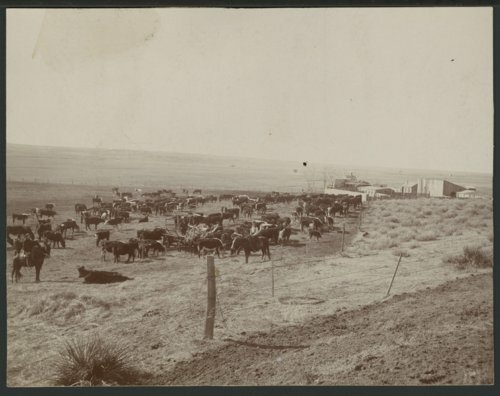 Visible in the photograph are a rancher feeding hay to cattle and two cowboys on horseback. A farmhouse and barns are visible in the background.